Between 2006 and 2009, Nandita Raman traveled throughout India creating Cinema Play House, a series of photographs depicting the country’s slowly disappearing single-screen theaters. Raman, whose family once owned one such theater in Varanasi, India, focuses her lens on the architectural anomalies that set these spaces apart from the larger multiplex theaters that currently threaten their existence. 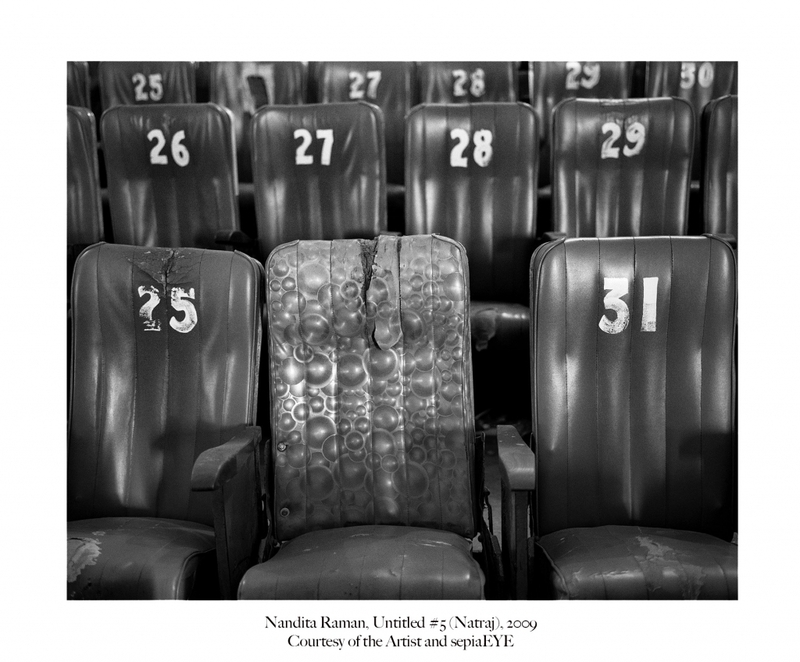 Nandita Raman (b. Varanasi, India) works with a range of mediums including photography, video, drawing and language. Her work has most notably been exhibited at Center for Documentary Studies, Duke University and Columbia University. Her cinema hall photographs are on view at George Eastman Museum from fall ’17 May’18. She curated the group exhibition “I need my memories. They are my documents” at SepiaEYE, NY and Riktata [emptiness] at Kriti Gallery in Varanasi.She is a recipient of Alkazi Foundation’s Documentary Photography Grant and was 2017 Workspace Resident at Baxter St Camera Club of New York.Nandita is a graduate of the Bard College-International Center of Photography’s MFA program and teaches at SUNY Purchase College.